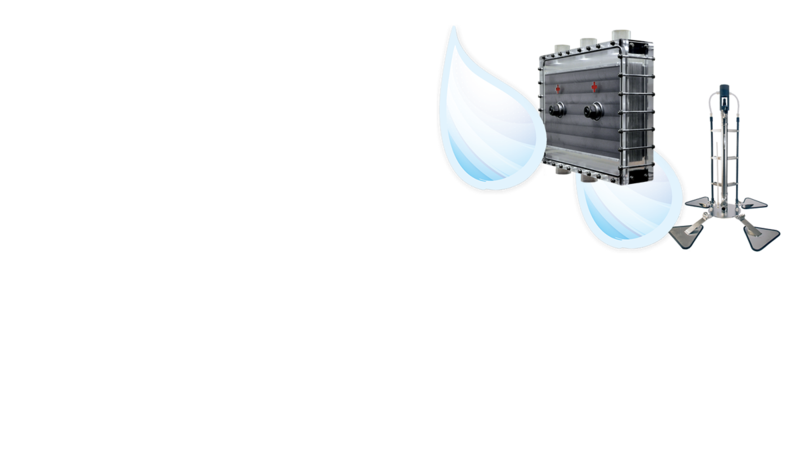 Microclor® On-Site Hypochlorite Generation (OSHG) is the safe, reliable and sustainable solution for water or wastewater disinfection. 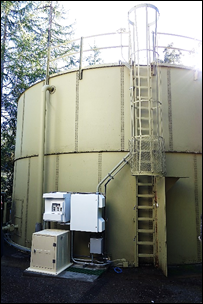 As concerns mount regarding the safety and security of using chlorine gas for water disinfection, many utilities are choosing sodium hypochlorite (bleach) as a safer alternative. In weighing the implications of either concentrated, delivered bulk bleach or on-site generated hypochlorite, utilities are considering factors such as safety, truck traffic, price variability, sustainability and overall life-cycle costs. The Microclor® dilute (0.8%) hypochlorite solution is below the hazardous material concentration threshold of 1%. This stable concentration reduces operator HazMat exposure and eliminates the need for further diluting commercial bulk hypochlorite to reduce the amount of degradation or decomposition which creates dosing issues due to changing concentrations over time - especially in warm weather. The only raw materials required for the OSHG process are common salt, water and electricity. This will reduce vendor deliveries by 66% vs. commercial bulk hypochlorite. Less truck traffic through the community and at the facility will reduce the potential for accidents and reduces the associated carbon footprint, Improving efforts towards Green Facility Management and also improving the water security profile. Utilizing Microclor® OSHG allows for the storage of larger quantities of raw materials necessary for your disinfection process (salt). The result is a more hardened and robust treatment facility better able to withstand the demands imposed by a natural disaster or health emergency. 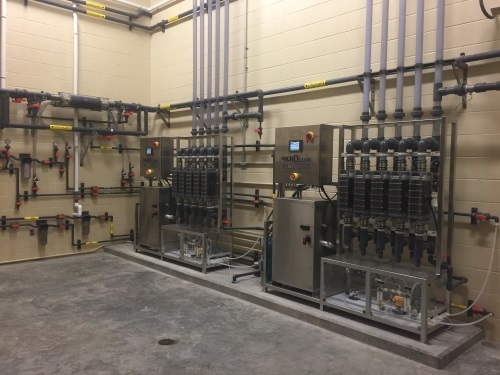 Since all chlorine compounds are derived from salt, electrolytic conversion at the treatment facility will typically result in significant savings to the owner. In many cases, it costs 30-70% less to produce sodium hypochlorite versus buying it. Additionally, price swings in the price of bulk hypochlorite are difficult to predict and can create significant budget variances. In contrast, the raw materials consumed by an OSHG system are much less volatile and easier to manage. More information on Microclor® can be found in the Microclor® Brochure or by watching the Microclor® Video.